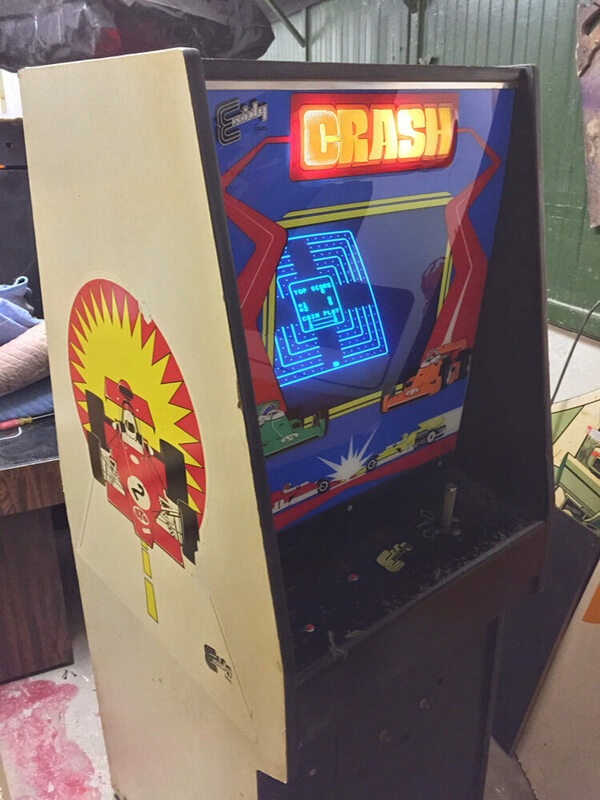 Picked up two Exidy Crash arcade cabinets a few months ago, and made the best of both. Still looking for a nicer control panel, but this will do for now. 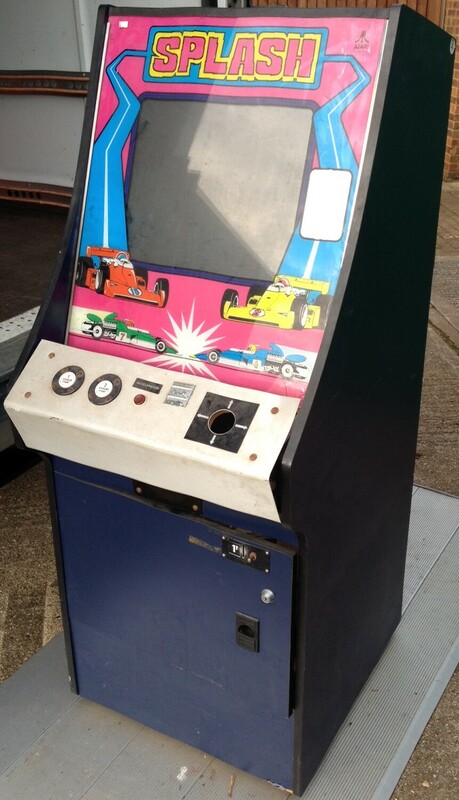 Incredibly the original operator had photos of one of these machines on location almost 40 years earlier. See below. In years of collecting, seldom have I obtained documentation like this. 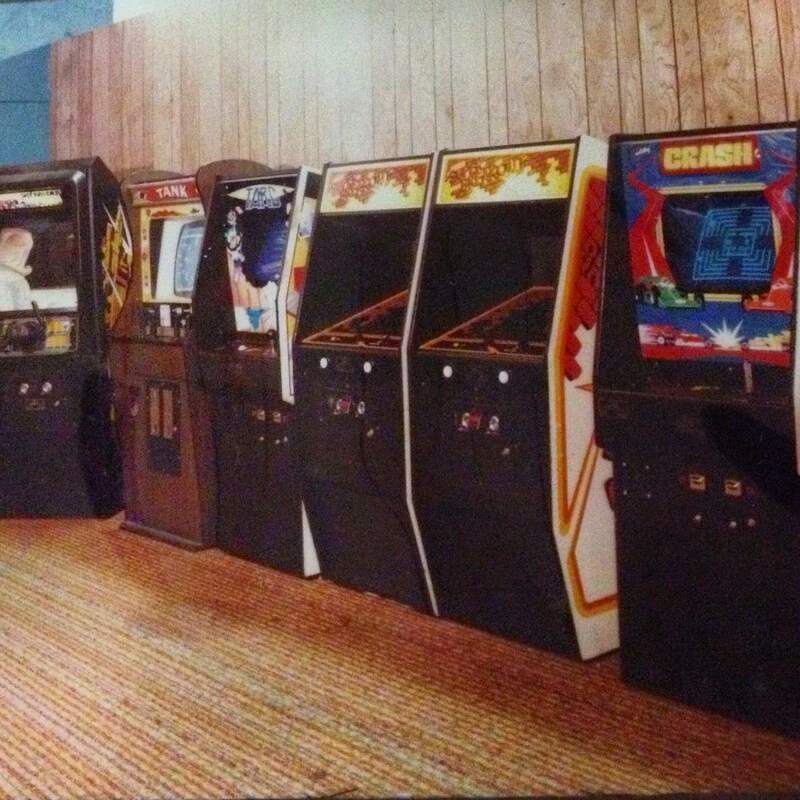 Pictures of arcade games operated by small-time independent ops from back in the day are a treat to see. Doubly so, if it documents a newly added game to your collection. While the game was successful for its time, not much is known about its development. The generally held assumption is that Exidy Crash was a copy of Sega/Gremlin Head On. However, It very well could be the other way around. There are also a number of variants of Crash including Head On 2 and Space Chaser. If you have any information about Crash’s history, please contact me. Another copy is this rarity: Atari Splash. My good buddy, Andy is in the process of restoring it. If you have an original Crash or Bandido joystick available, please contact him. Like a primitive Pac-Man, the object of Crash is to avoid the enemy car while collecting dots in a maze. A joystick and button to accelerate your car are one’s only controls. Watch local Philadelphia legend, Todd Tuckey demonstrate the game.